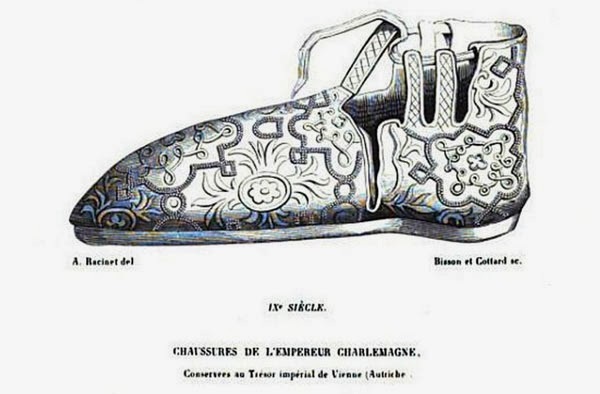 "Charlemagne's foot measured thirty-two centimeters, four millimeters and corresponded to a size 48 shoe (...). By imperial order, Charlemagne's foot become an official unit of measure, remaining in use until the metric system was adopted in 1795. We know from the monk of the Saint Gall monastery that emperor Charlemagne wore simple boots with straps intertwining the legs, although for ceremonies he wore laced boots decorated with precious stones."